Advancing women in business together. Forté fosters alliances with like-minded industry organizations who share our vision and commitment to women in the workplace. Through these partnerships, we hope to further the advancement of women in business leadership. Accredited and highly ranked business schools are coming soon to a city near you to meet qualified MBA candidates. The Access MBA Tour brings together MBA candidates and international business schools in over 40 cities around the world. More than just a fair, Access MBA gives business professionals the opportunity to meet with admissions directors on a One-to-One basis. Meet top-ranked MBA program representatives, career counselors and GMAT instructors on the Access MBA Tour in worldwide destinations. Places are limited for One-to-One meetings and early registration is recommended. Since its inception in 1966, The Consortium for Graduate Study in Management has secured $225 million to advance their mission of promoting diversity and inclusion in American business. The Consortium annually awards over 300 full-tuition scholarships for students to attend one of its 17 top-tier member schools. The Consortium’s vast network includes these universities, more than 500 current students, nearly 6,000 alumni and 75 corporate partners consisting of Fortune 100 and 500 companies. 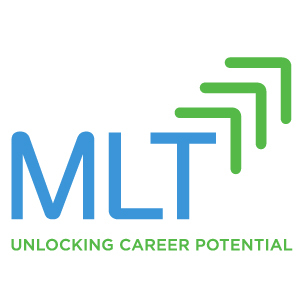 MLT is the premier career development institution that equips African Americans, Hispanics and Native Americans with the key ingredients—skills, coaching and door-opening relationships—that unlock their potential. MLT delivers content via key programs to help minorities at each stage of their career to put them on the fast track to success—at the College, MBA and Executive level. The MBA Tour is an international business education recruitment platform with emphasis on personal interaction between prospective MBA students, business school admission representatives, alumni and other like-minded education enthusiasts. To promote our business philosophy, the MBA Tour offers high quality education fairs that include individual school presentations and interactive panel discussions with leading industry experts as well as personalized round table events. The MBA Tour was established in 1993 and has built its reputation on representing top business schools from Asia, Latin America, Europe and North America. Personal MBA Coach is pleased to be a Forté MBALaunch Gold Partner. Founded by a Wharton and MIT graduate over 11 years ago, Personal MBA Coach has helped hundreds of applicants around the world get into top MBA, EMBA, part-time MBA and graduate programs. Personal MBA Coach was formed with the goal of providing the customized one-on-one support that was missing at the larger firms with cookie cutter processes. This one-on-one guidance continues today as our founder, Scott Edinburgh, provides personal support to all clients. Our comprehensive counseling includes mock interviews with a team of former M7 interviewers and customized GMAT/GRE tutoring with tutors who scored in the 99th percentile. Scott also serves on the Board of Directors for AIGAC, the Association of International Graduate Admissions Consultants and is invited to speak at MBA Admissions events globally. Our clients have been accepted to HBS, Stanford, Wharton, MIT Sloan, Chicago Booth, Kellogg, Columbia GSB, Yale SOM, LBS, Dartmouth Tuck and many more with a 96% success rate. They received $4.5M in total scholarships last year and over $1M in Forté Fellowships, with some MBALaunchers earning a full ride. 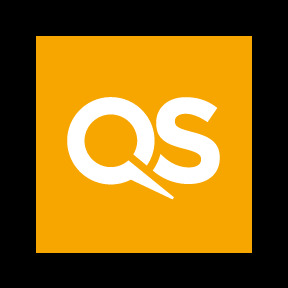 QS is the leading international network for top careers and education. QS links graduate, MBA and executive communities around the world with recruiters and education providers through websites, publications, selection services and events, both physical and virtual. At our events, MBA candidates can meet face-to-face with some of the world’s top b-schools including Cornell, UCLA, London Business School, Michigan Ross (EMBA) and NYU-Stern. The Toigo Foundation is committed to ethical leadership and broader diversity of thought and experience in business. Our mission is to foster the career advancement and increased leadership of under-represented talent by creating mechanisms for greater inclusion from the classroom to the boardroom. MBA Candidates, learn how to become a Toigo Fellow. Stratus Admissions Counseling is thrilled to be the Platinum Sponsor for Forte’s 2019 MBALaunch program. Since 2006, Stratus has helped thousands of clients achieve their dreams of going to business school. Stratus counselors are passionate about coaching young professionals on their application journeys. Our team of expert counselors are graduates of Harvard, Wharton, Columbia, Duke, MIT, and many have direct admissions experience or have served as either alumni or student admissions interviewers. Applying to business schools is a complex and stressful process. Our seasoned MBA counselors can help you present a clear, compelling picture of who you are so you can apply with confidence. Last year, Stratus counselors conducted over 200 ‘Office Hours’ with Launchers, providing profile evaluations, feedback on resumes, and guidance on school selection. In fall 2018, one quarter of Stratus’ female clients starting MBA programs were granted Forté Fellowships at Berkeley-Haas, Tuck, Yale SOM, Duke-Fuqua, UCLA Anderson, UVA Darden, Cornell Johnson, WashU Olin, and Vanderbilt Owen. Universum is a global employer branding leader. As thought leaders, Universum drives the industry forward having focused exclusively on Employer Branding (EB) for 20 years. Universum is a trusted partner to schools and universities, and over 500 clients worldwide including many Fortune 100 companies. Universum uses research to understand student attitudes and trends and helps leading employers attract and retain current and future ideal employees. Clients utilize the company's experience, knowledge and services from research, strategic consulting and media solutions. Forté MBALaunch is a 10-month program that pairs women seeking an MBA with a support network and provides a structured roadmap for applying to business schools.